Are you pregnant and not sure if you want to be a parent? You probably have many questions about adoption and whether it is right for you and your baby. This is a short how-to guide on giving up your baby for adoption in Florida. Please contact Forever Families Adoption Services (using the form on this page; by calling 407-977-8639; or emailing foreverfamilies2004@yahoo.com) if you have any questions during or after reading this. If you think you are, it is important to see a doctor or crisis pregnancy center for a pregnancy test. You should begin prenatal care as soon as possible, for the sake of your health and the unborn baby’s. If you are taking any prescription medicine, or using alcohol, tobacco, or drugs that were not prescribed to you, please be honest with your physician. It is important for everyone’s health that your physician knows everything that can impact your health and the baby’s health. Forever Families Adoption Services has adoption counselors throughout the state of Florida. We offer free, confidential services. We will never pressure you to place your baby. If you decide that adoption is the right choice for you, we will help you every step of the way. Open Adoption: In open adoption the birth mother (and sometimes the father) and the adoptive family have a relationship after the baby is placed. This can include phone calls, visits, pictures, and emails. You and the adoptive parents can decide how much contact you want. Semi-open Adoption: In a semi-open adoption, the adoptive parents will send you pictures, letters, and emails. They may talk to you on the phone. Semi-open adoption usually doe snot include visits with the child and the adoptive family. Closed Adoption: Some w0men prefer to have no contact after giving up their baby. They just want to move on with their lives. Whatever adoption style works for you, Forever Families will support you in your decision. We will also provide you with information about the Florida Adoption Reunion Registry, in case you want to contact your child after he or she turns 18. 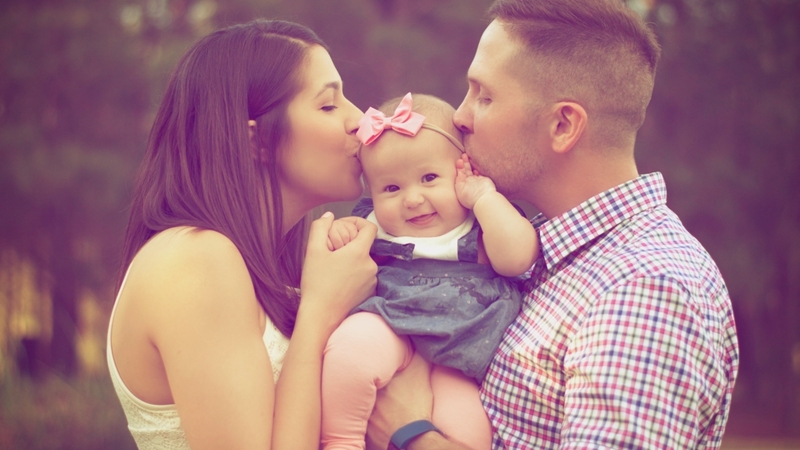 You can choose a family to adopt your baby, or the agency can do it for you. If you want to choose the family yourself, we will provide you with profiles of families waiting to adopt. Once you have chosen a family, you might want to meet them in person or have a phone call with them. Your counselor will help you with this. Your counselor will help you put together a plan for your delivery and hospital stay. Once you go into labor you should contact your adoption counselor. You can decide ahead of time who you want at the hospital and when. Some women want to hold the baby and others want the baby taken away right away. Your counselor will help you decide what you want to do. If you change your mind about the plan at any time, please let your counselor know so she can inform the hospital staff of the new plan. In Florida, you can sign the papers giving up your baby for adoption 48 hours after giving birth. You can sign them earlier if the doctor has put a written discharge order in your hospital chart. You have the right to a witness that you choose when you sign the papers. Your counselor will be there with you, as well as an attorney and sometimes a court reporter. Once you sign the papers giving up your baby for adoption, you cannot change your mind. You can change your mind at any time before you sign. YOU ARE NOT ALONE. Your counselor will continue to work with you for 6 weeks after signing, and you will continue to receive any financial support that you were getting. After the 6 weeks, we can refer you for additional counseling if you want it. And you can call us at any time for advice or just to talk.